There may be snow on the ground, but that's not stopping one tasty spring tradition from happening. 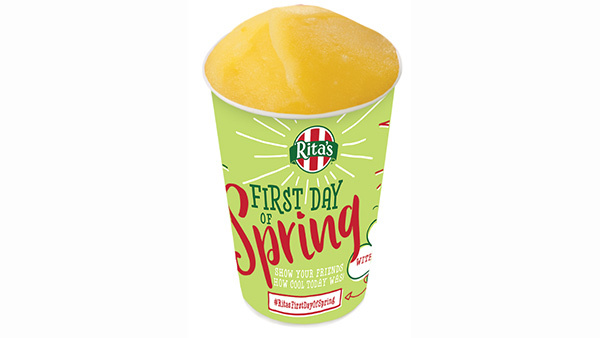 Rita's Italian Ice stores will be celebrating the first day of spring on Monday, March 20. And as they have done for 25 years, Rita's is giving away free ices to all customers who visit their stores between 12 p.m. and 9 p.m. The ices will come in a limited-edition First Day of Spring cup. Plus, the popular PEEPS flavored water ice is making a comeback. Some stores will have it during the First of Day Spring celebration, but it officially hits the Rita's menu on March 27. To find the closest Rita's near you, CLICK HERE.